We have all been getting repeated reminders from mobile service providers and banks via text messages and other means that it is mandatory to link our phone numbers and bank accounts with the 12-digit unique identification number Aadhaar. Failing which, our bank accounts and mobile numbers will cease to exist, if the seeding is not done within the stipulated deadline-- December 31, 2017 for bank accounts and February 28, 2018 for mobile numbers. While the government has indeed directed telecom companies and banks to get this done, is this really mandatory or even legal? We spoke to Supreme Court lawyer Apar Gupta to understand the legalities around this. For starters, before the deadline, banks and mobile service providers cannot disable your account or number, says Gupta. As far as the legality of the directive is concerned, he says "It's under a cloud and there are right now doubts that exist about the legality of the Aadhaar system." The 'cloud' that Gupta mentions is formed from the landmark Supreme Court ruling in August which states that Indians enjoy a fundamental right to privacy, that it is intrinsic to life and liberty and thus comes under Article 21 of the Indian constitution. "The right to privacy judgement got all of us very excited and there were questions which came up right after the judgement that what is its impact on Aadhaar. For this lawyers then went to the Supreme Court and said that you now have the right to privacy firmly established under the Constitution and now you need to apply it to the pending court cases which challenge the Aadhaar scheme. Now, a lot of these court cases also challenge Aadhaar specifically being linked to a lot of government services which are now requiring it as a precondition for the service itself," says Gupta who had argued for petitioners in the Right to Privacy case and also represents those challenging Aadhaar. These cases are due to be heard in November which is prior to the seeding deadlines, adds the lawyer who is a vocal critic of the Aadhaar scheme over concerns around security and privacy. So, by November some legal clarity on whether Aadhaar is unconstitutional or if it's legal and justified is expected to emerge. 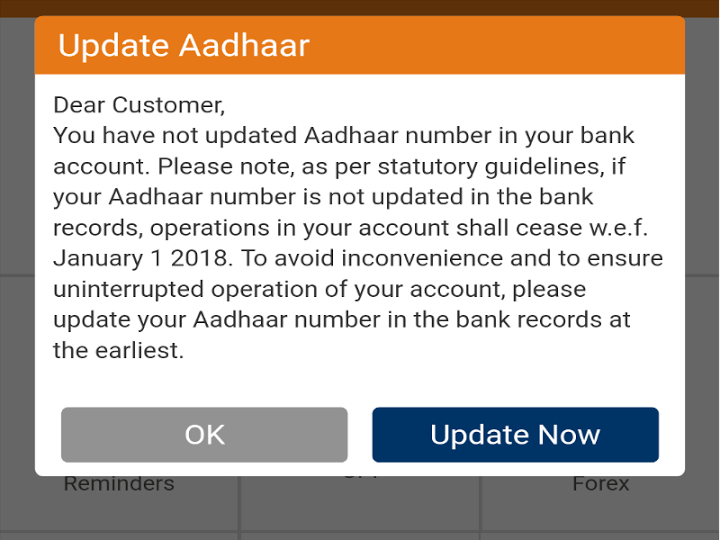 This in turn will obviously have a bearing on whether all of us indeed need to get our Aadhaar seeded with our bank accounts and mobile numbers. "People who believe that Aadhaar opens them up to a large array of concerns including privacy, profiling and even identity theft they should hold on. But again this is a very personal call each person has to take after they asses where they stand on this issue and how they personally assess the level of impact it's going to cause them," says Gupta. It would be interesting to look back at the Supreme Court's judgement in the Aadhaar- PAN linking case here (which was delivered a couple of months before the right to privacy verdict), where the top court stated that while the government was right in asking for Aadhaar to be linked with the 10-digit alpha-numeric PAN, it was too harsh a punishment to deactivate someone's PAN altogether. It results in the "civil death" of a person as they are not able to function effectively in society, the court had stated. Having your bank account and mobile number disabled would also similarly result in "civil death" opines Gupta. 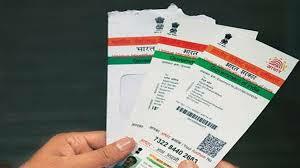 The Aadhaar-PAN issue will again be argued in November as it came before the right to privacy judgement, Gupta says. The government on its part wants to link almost all essential services to Aadhaar to plug leakages and gaps that exist within the system as India moves towards digitisation. The Centre seems to believe that Aadhaar could be that proverbial 'silver bullet' that takes down terrorism, money laundering, black marketeering and other frauds, all at once. Every resident who has an Aadhaar has their biometrics (fingerprints, iris scan) linked to the 12-digit unique identity. According to the government, over 99 per cent of adults in India are enrolled in the program, with nearly 90 per cent of the entire population coming under its fold.